If just watching Infinity Wars isn't action-packed enough for you, then join them in saving Singapore as part of Madame Tussauds Singapore’s Marvel 4D Cinematic Show! 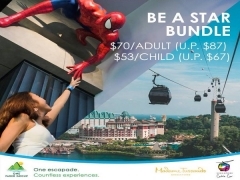 Save more than 20% with our Be A Star Bundle that gets you into Madame Tussauds Singapore and unlimited cable car rides to get you there in style! So, book your once-in-a-lifetime experience now! Double the joy with TWO cable car lines! Experience the new Singapore Cable Car Sky Network, and enjoy TWO cable car lines that connect TWO buzzing destinations – Sentosa and Faber Peak Singapore. Commence your full experience at Images of Singapore LIVE as you uncover the red dot's extraordinary story. Experience the sights, sounds and smells of yesteryear in this 45 minute actor-led adventure which features 15 immersive areas, live actors and special effects. 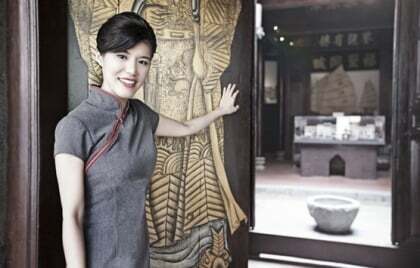 Meet the everyday people and pioneers of Singapore across a period of nearly 200 years. All completed and confirmed transactions are not refundable or exchangeable. Last Boarding Time for Singapore Cable Car Ride is at 9.30 pm (unless otherwise stated). Package is subject to change without prior notice. Child price is applicable to children aged 4 - 12 years. For the purpose of verification, your identification document(s) may be requested by our staff. Ticket redemption of online purchase at ticketing counters need to be made within the Singapore Cable Car Ticketing Counters operating hours (8.45am to 9.15pm daily). All tickets purchased in one transaction have to be redeemed together, no partial redemption is allowed. Click here to view the full terms and conditions apply or check out One Faber Group for more details about this offer.